2019 Online Registration is now open HERE ! 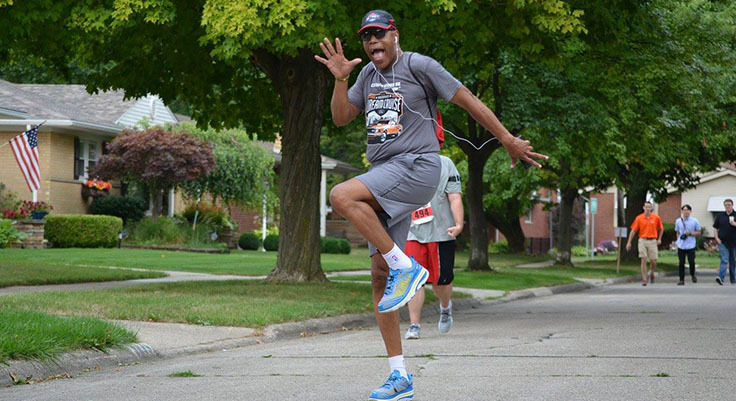 Huntington is proud to present the seventh annual Cruise In Shoes™ 5K Run/Walk. 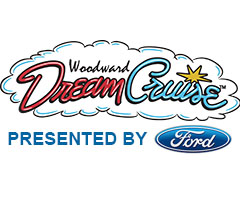 The run/walk will take place the morning of August 17, 2019, the same day as the 24th annual Woodward Dream Cruise presented by Ford. The run/walk will begin at 7:30 am on Yorba Linda Blvd, continue with a rare opportunity to run on historic Woodward Avenue, wind through several Royal Oak neighborhood streets and finish at Shrine High School. Anyone interested in participating in the Cruise In Shoes™ can register online by going to http://www.CruiseinShoes.com/registration until August 14, 2019. 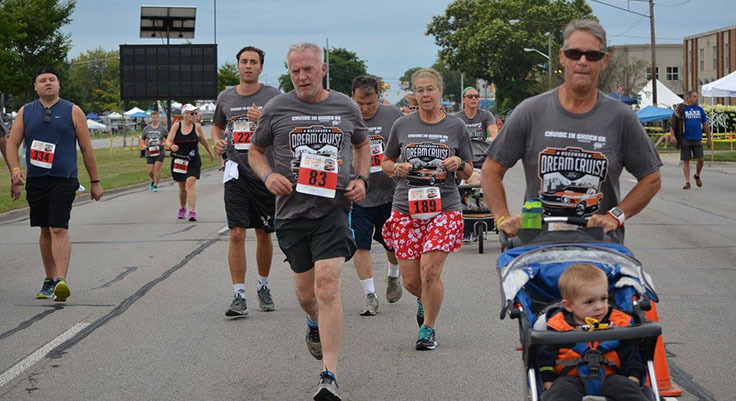 Participants can also sign up at Packet Pick-Up on Aug. 15 or at the event the day of the run at Royal Oak Shrine High School. Step 2 - Pick up your shirt, bib, & finisher medal at Packet Pick-up. 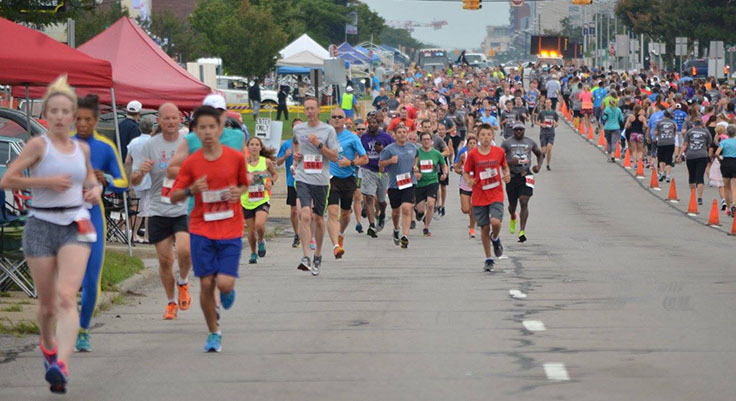 Thursday, August 15 from 12 p.m. - 7 p.m.
* You will not be eligible for age group or overall awards unless you run the 5K in Royal Oak on August 17 at 7:30 a.m. NOTE: FREE Parking at lots is for a limited time during the race event. Staying for the Dream Cruise or other related activities may result in parking fees. 3) LIMITED parking available at SHRINE HIGH SCHOOL • $5 from 6 - 10 a.m.
New for 2019! - QR code on Race Bibs for immediate race results! 3500 W. 13 Mile Rd.